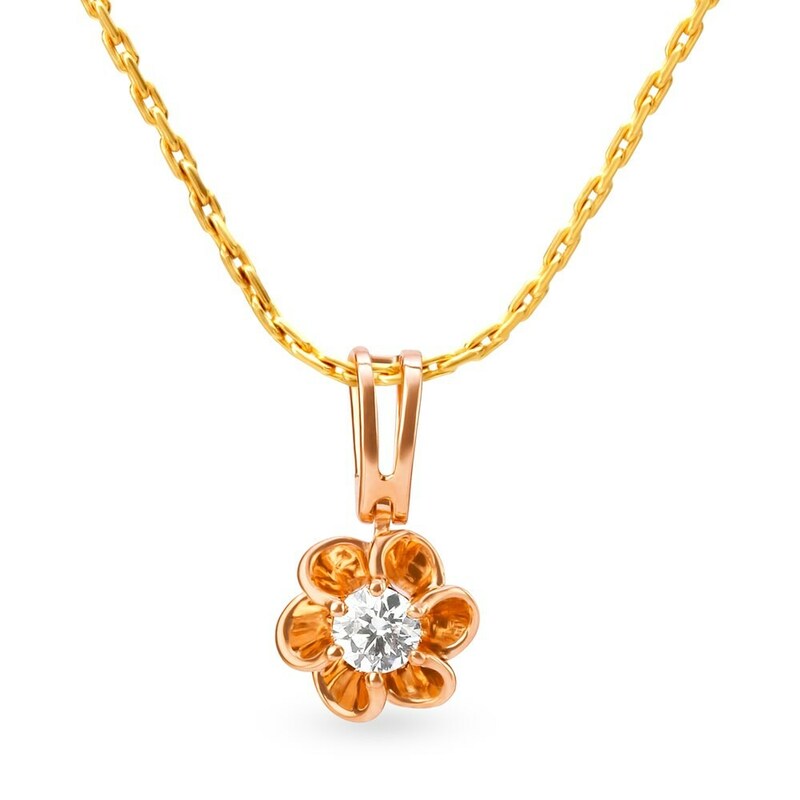 Inspired by the delicate beauty of a flower, this pendant is both opulent and exquisite. A solitaire diamond sits pretty at the centre enshrined by delicate petals. 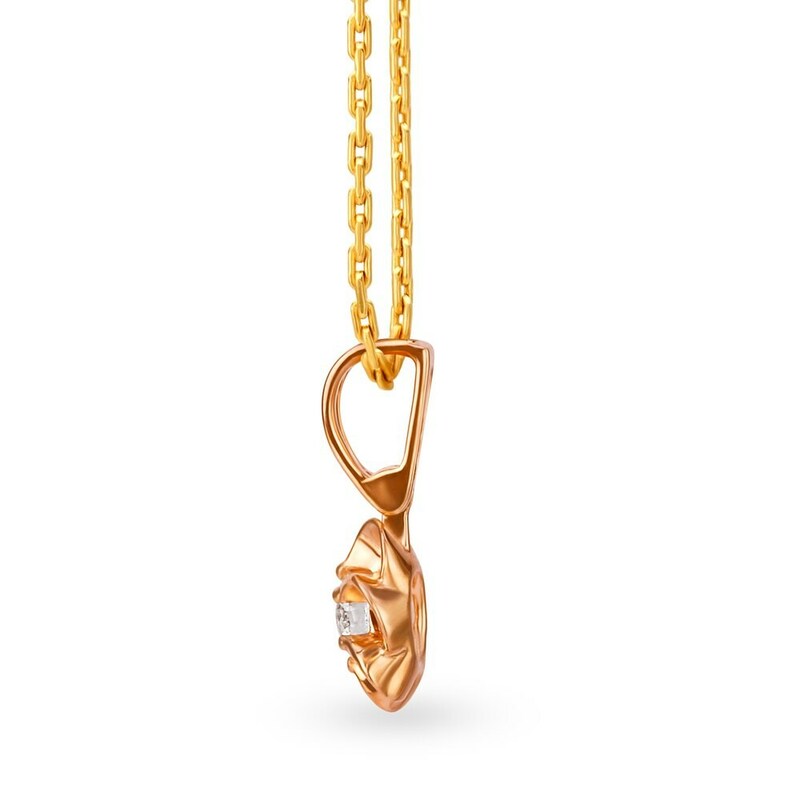 The pendant is made of 18KT rose gold.